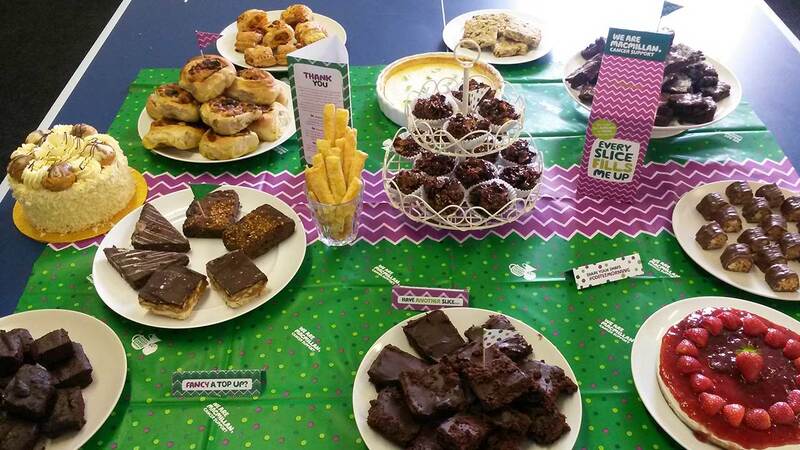 Last Friday, Purpose took part in the World’s Biggest Coffee Morning, in support of Macmillan Cancer Support. The annual fundraising event encourages workplaces, communities and friends to host their own Bake-offs in order to raise money for the charity. The day was filled with delights including lemon tart, cheesecake, pesto swirls, tiffin, millionaire shortbread, brownies and chocolate cornflake cakes, which meant we were suitably overdosed on sugar by mid afternoon! But in true competitive style, we chose our favourite – so a big well done to Becky for her delicious homemade strawberry cheesecake. And also a massive thank you to everyone for all their baked contributions and kind donations, helping us to raise over £70 for such a worthy cause.